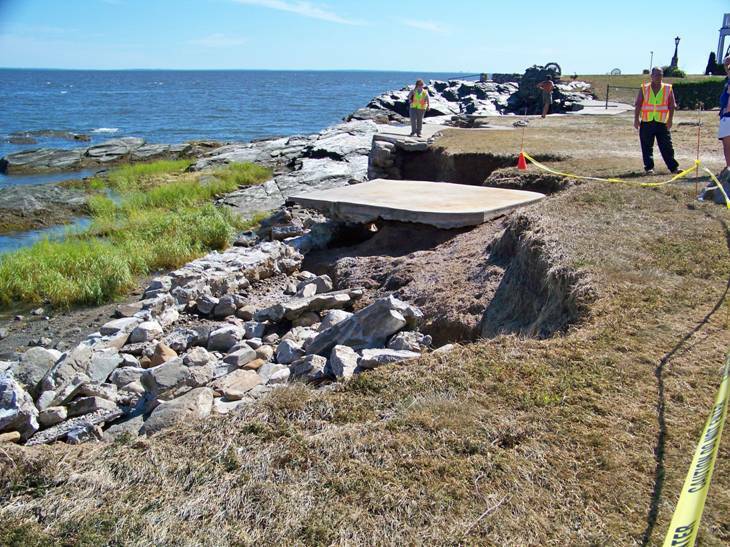 CIRCA works to enhance coastal resilience to coastal flooding and waves in Connecticut. Coastal flooding is caused by waves, storm surge, and high tide, particularly with increased sea levels. 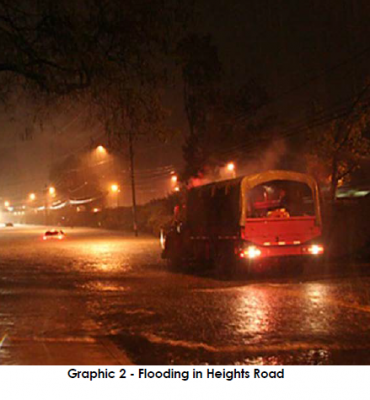 In coastal areas where there are also rivers, rainfall contributes to coastal flooding as well. Waves also contribute to shoreline erosion and information on waves is important for designing living shorelines. Below is a brief summary description of our current Coastal Flooding and Waves projects. Click the Learn More button to read the detailed project description, or use the left navigation. The Jarvis Creek Sea Level and Flooding Variability study in Branford, CT determined how downstream flood prevention activities affect areas upstream in terms of flooding frequency. The Institute provided a report.pdf with policy directions for the DEEP Office of Long Sound Programs for future consideration of similar upstream impacts. To maximize the stormwater volume that is stored or infiltrated in order to provide greater flood resiliency to the existing stormwater system. 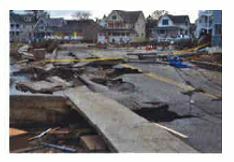 To develop a Design Guidance Checklist that will have application to other flooding sites in Connecticut and clearly define tasks needed to evaluate and design stormwater management in urban areas that may contain historical urban fill. This is a complex process that can be challenging given the sometimes conflicting technical and regulatory requirements. Develop a flood risk analysis warning system by integrating atmospheric reanalysis with hydrological and hydraulic models to estimate potential damage and risk under design flood and storm scenario based at coastal areas over Connecticut, specifically parts of the Mystic River and Branford. 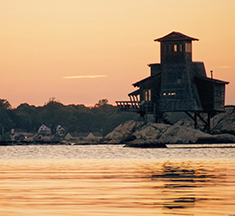 The Town of East Lyme seeks to enhance community sustainability and resilience to the impacts of climate change, sea level rise, and extreme weather by developing specific policies and recommendations for inclusion in the town’s Plan of Conservation and Development. This CIRCA grant project will create a new Flood Ordinance and establish a Flood Commission made up of members from the Board of Selectman, Zoning Commission, Planning Commission, and local professionals such as engineers, surveyors, and insurance professionals. The project will also: 1) identify adequate freeboard requirements (or factors of safety expressed in feet above a flood level) and areas in need of increased safety in anticipation of sea level rise and climate change; 2) identify projects such as living shorelines within East Lyme that advance resiliency; and 3) update the town’s Geographic Information System mapping to incorporate Coastal A-Zones, municipal wastewater infrastructure, CIRCA site suitability for living shorelines, and other flooding data. The project will build on recent work by The Nature Conservancy and also leverage completed CIRCA research projects. 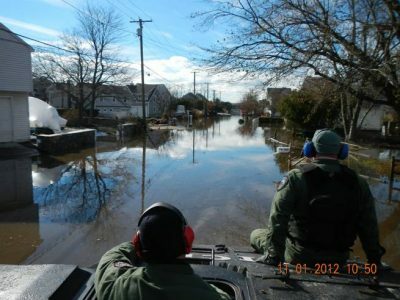 Outcomes can be used as a model for other coastal communities and not only increase East Lyme’s resilience and sustainability by establishing sound land use policies and regulations, but may also improve the town’s community rating within the National Flood Insurance Program. 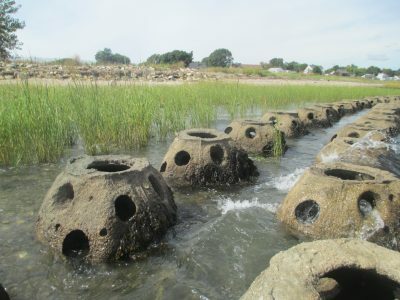 The City of New Haven was awarded its second CIRCA Municipal Resilience Grant for a project entitled, “Assessing Impacts of Tides and Precipitation on Downtown Storm Sewer System Through Use of Real-Time Depth and Flow Monitoring.” The city experiences frequent flooding at several locations crucial to the functioning of the City and regional transportation systems during high intensity, short duration rainfall events. The flooding is exacerbated during high tide events such that a small storm (less than a one year occurrence) can lead to flooding of critical facilities. Significant gaps and inconsistencies still exist in the understanding of this large and complex drainage area. Until now, the City’s strategy lacked a long-term data gathering component to provide data on the performance of the City’s stormwater infrastructure in widely varying conditions. 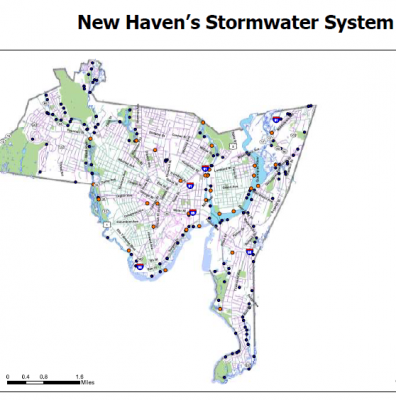 This CIRCA funded project will create a low-cost “smart city” stormwater sensor network to provide a detailed record of the interaction of rainfall, tides, green stormwater infrastructure, and sewer conveyance systems on the hydrology of New Haven’s urban core. A better understanding of system response during a range of hydrologic conditions will allow the City to value engineer cost-effective and resilient solutions. Techniques and approaches developed in New Haven also be transferred to other urban communities facing similar problems. 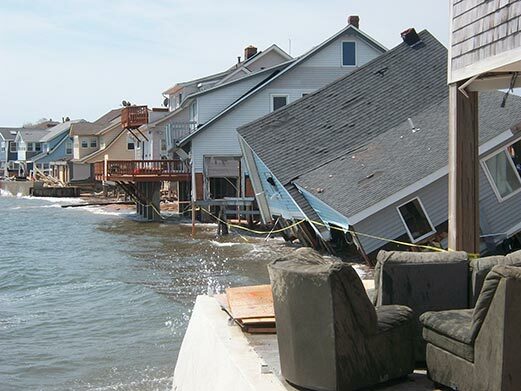 The Resilient Coastal Communities under Wind and Flood Hazards project will evaluate and compare trade-offs in residential home building designs to reduce risk of wind and flood damage in order to reduce coastal community vulnerabilities. The towns of Fairfield and Milford are participating in the study. 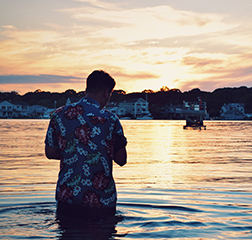 The coastline of Connecticut is characterized by numerous inlets where the rivers and streams carrying runoff from land towards the ocean and the saline tidal waters of Long Island Sound intrude into the channels. 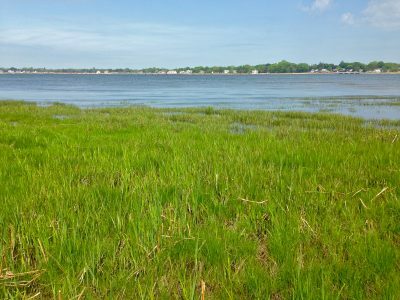 The NOAA CREST project has significant wave heights for different return periods for all of Long Island Sound, measurements of waves in Old Saybrook and New Haven harbors, a review of design guidelines and tools for site assessment of living shorelines. This information is summarized in an online map viewer. In order to stem the high cost of flooding to home and business owners, the Federal Emergency Management Agency (FEMA) offers flood insurance in communities that comply with basic floodplain management standards through the National Flood Insurance Program. Communities may choose to enter into the National Flood Insurance Program’s Community Rating System (CRS) in order to reduce the cost of flood insurance premiums for their property owners. 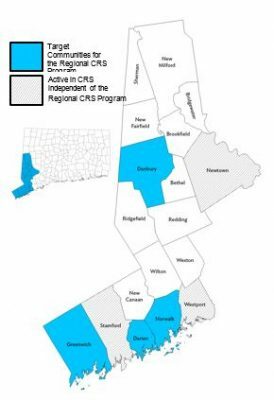 Communities participating in the CRS Program go above and beyond the minimum standards and, depending on their level of mitigation efforts, can garner insurance premium reductions from 5-45%.